The BCECE Agriculture Syllabus consists of the topics related to Physics, Chemistry, Mathematics, Biology and Agriculture Science. Click here to know more about the Syllabus. I've completed my Diploma in Engineering from Assam. Am I eligible to study B.Tech in Bihar through BCECE? Yes, you are eligible to do B.Tech from Bihar through lateral entry even though you have completed your B.Tech outside Bihar. You are eligible for Lateral Entry Entrance Test of Bihar if you are a domicile of Bihar. If you are not a domicile of Bihar, you will only be eligible for the lateral entry entrance test of the private universities of Bihar. The admission is done purely on the basis of the rank in the entrance exam. 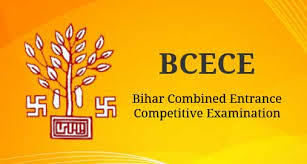 If you are aspiring for Bihar Combined Entrance Competitive Examination Board, then also you are eligible to apply but the admission is subjected to the conditions of the concerned institute. What are the cutoff marks for a PCMB student so as to clear the 1st stage of BCECE? The cut off for BCECE depends on the college candidate is opting for. So, I advise you to consult with the college you're interested in or search for their previous cut off marks to get an apt idea. Which all documents have to be sent to the board along with BCECE application? Candidates have to mail in a hard copy of the BCECE application form along with the paid bank challan and enclosures by Speed Post/Registered. Should I send my application form in hard copy to the exam committee for the completion of my application process? What should I do if I want to withdraw my application form after submission? The candidates are not provided with any provision as such to cancel or withdraw their respective application forms. The request for fee refund will not be entertained under any circumstances as well. Will there be any negative marking in both the stages of BCECE 2016? No, there won't be. There is no negative marking in either stage of the examination.